It’s an awfully long time since I wrote about running; my last post looked forward to the Seaford Half, an event I missed thanks to my knee. Today I ran to the Cuckmere and back over Seaford Head. Both of my knees were stiff and painful, and I was a full ten minutes slower over this course than when I last ran it at the end of April. This is poor, and, with the exception of Blandford Forum, none of my 5ks has been on the right side of 30 minutes. Not cheerful news; my hope is that my knees will become stronger and, once the hay fever season is over, the soporific effects of the antihistamines I take will disappear. 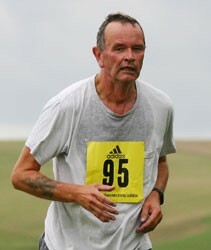 I have entries in two ten mile races, the Eridge Park Ten Mile and the Lewes Downland Ten.